If you’ve ever wondered what the output of Australia’s top creatives would taste like on a plate, then not only should you be congratulated for possessing a singular world view but you can also, finally, put those thoughts to rest. Vivid Sydney and Carriageworks have announced that they’re assembling a crack team of chefs and creatives for a bespoke dining experience called Sydney Table – a series of seven dinners that will see 50 guests feast on a multisensory banquet prepared by some of Sydney’s top chefs and designed by a selection of eclectic creatives currently shaping the city’s cultural landscape. 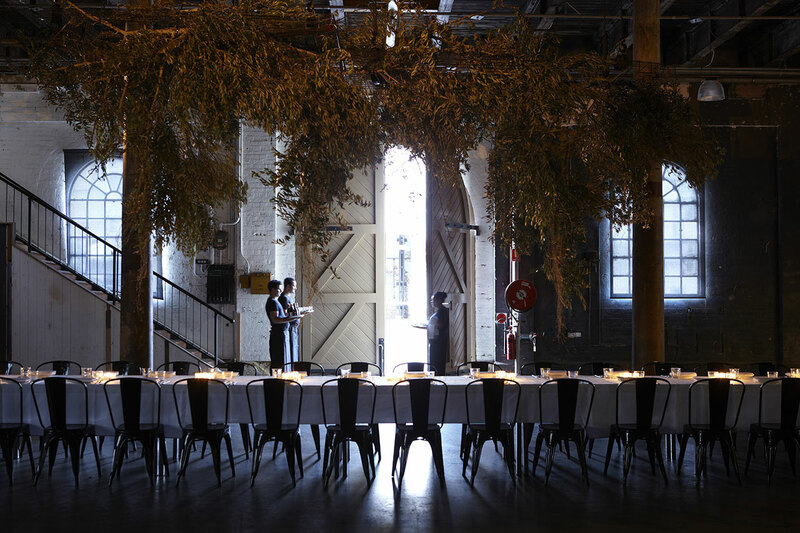 The inaugural Sydney Table will bring together top chefs with unusual pairings, like ACME’s Mitch Orr with choreographer Amrita Hepi; Marque’s Mark Best with photographer Petrina Tinslay or Silvereye’s Sam Miller with fine artist Lisa Madigan. Check out the full lineup here. Speaking recently with GRAZIA about Carriageworks increasing involvement in the conceptual dining space, programming director Lisa Havilah explained that “We’ve been doing a lot of work in food and beverage and looking at how we can integrate high quality food experiences with great chefs and producers into a broader large scale immersive contemporary program. With produce sourced from Carriageworks’ stellar weekend farmers matched with local wines from Cake (read our interview with Cake’s head winemaker here) Sydney Table is a welcome addition to the dynamic Vivid calendar, which this year takes place from May 27 to June 18. During that time Carriageworks will also host an unmissable digital presentation of Björk’s heart-rending Vulnicura body of work. Tickets for Sydney Table can be purchased via Ticketmaster.